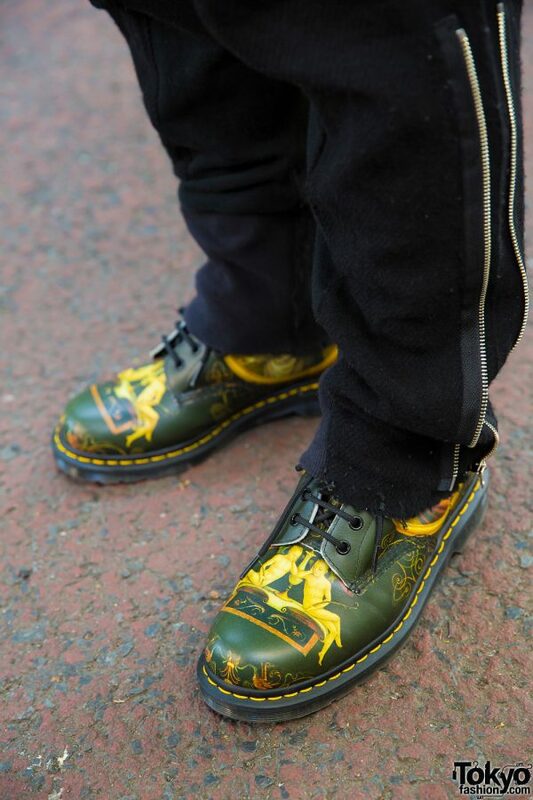 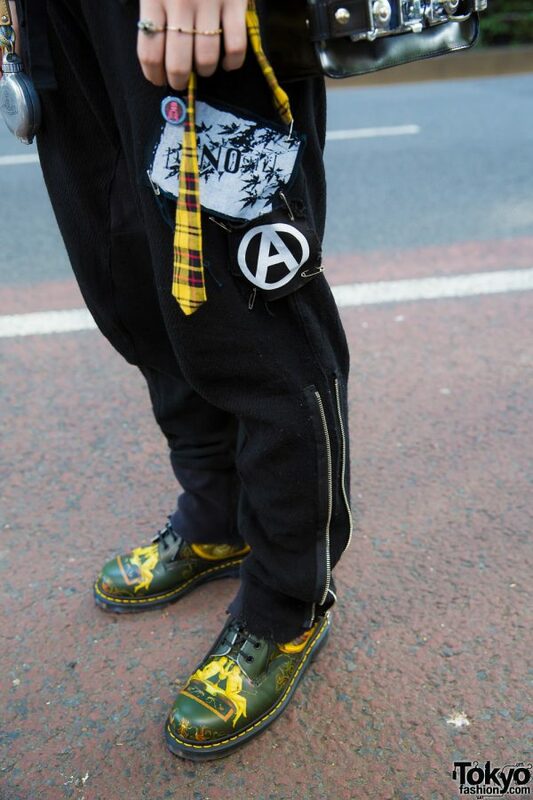 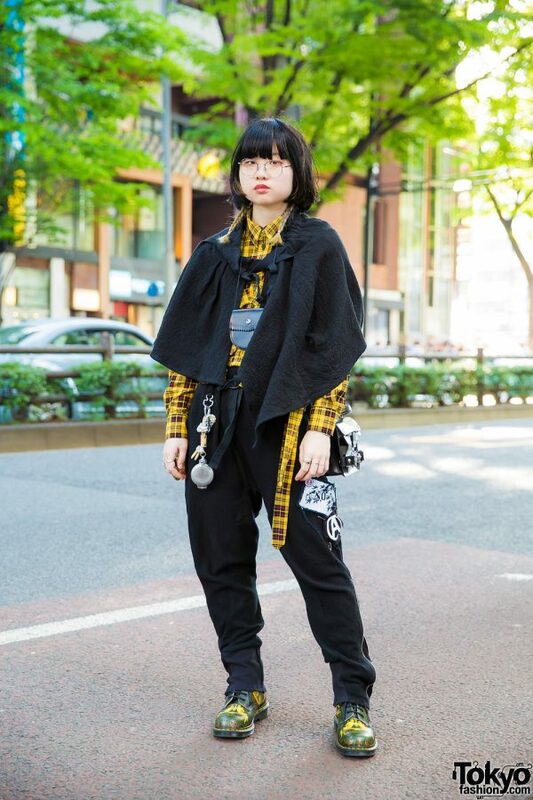 In Harajuku, we came upon Hyaku, whose black and yellow outfit easily attracted our attention on the street. 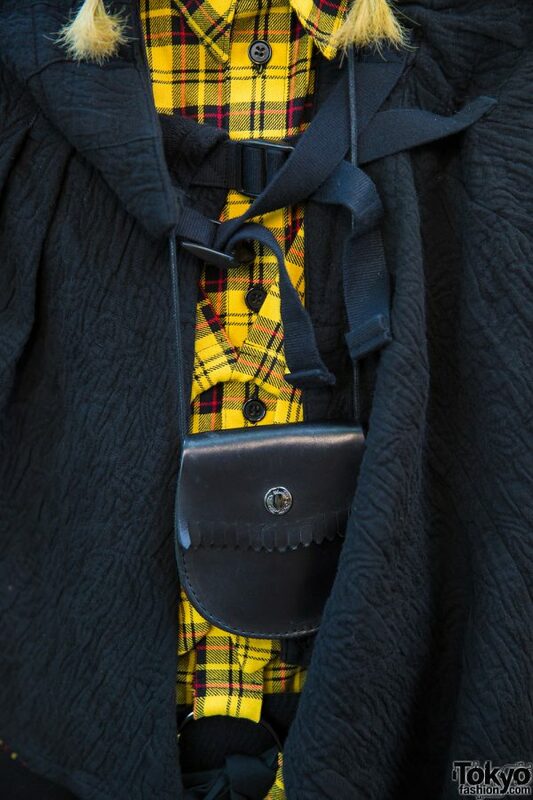 Hyaku is dressed in a handmade yellow long sleeve plaid shirt, which she styled with black Undercover side-zipper pants and a black textured cape. 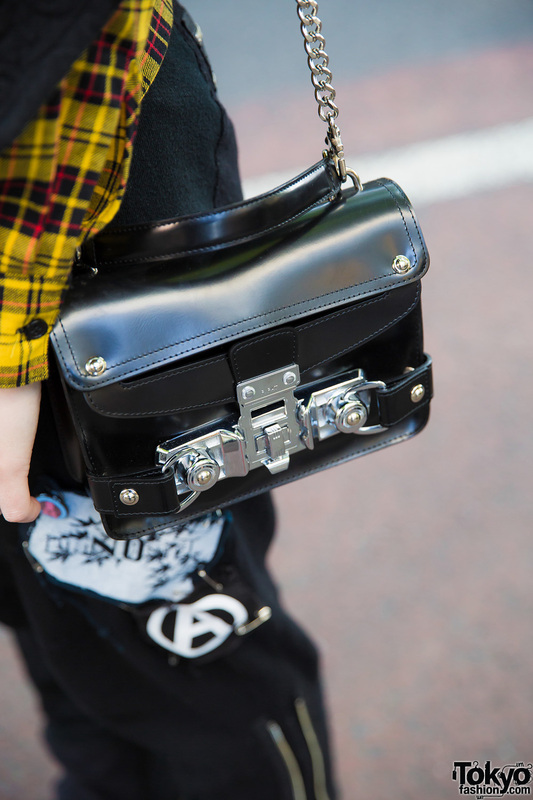 She completed her look with black-and-yellow printed boots from Dr. Martens, a black leather chain sling bag from Mihara Yasuhiro, and accessories – from Pala, Pass The Baton, and Chigo – such as round eyeglasses, a black ruffle neck wallet, a Vivienne Westwood keychain flask, and multiple rings. 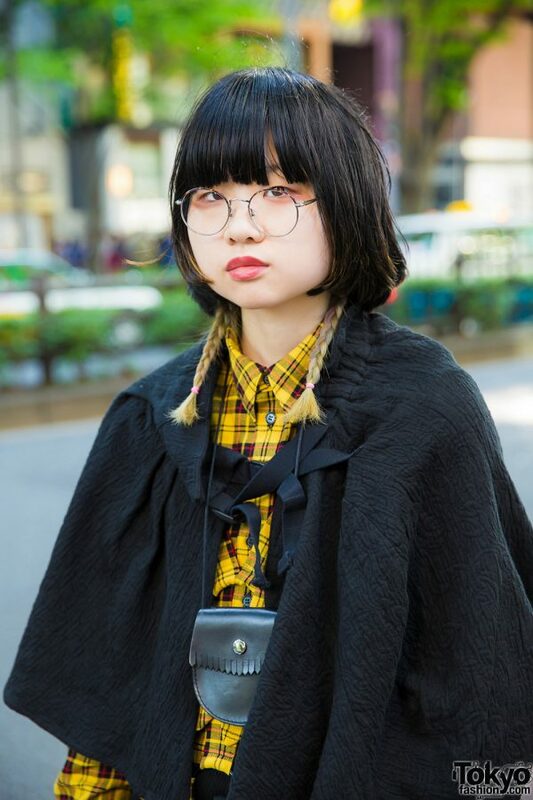 For more on Hyaku, follow her on Instagram.